Red is bold, cheery, dramatic and it inspires creativity yet retains a classic feel. 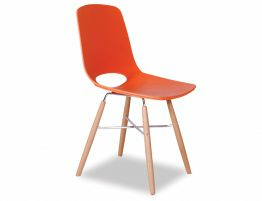 Update your design with the Wasowsky red dining chairs from OOland and designers Enrique Del Amo and Angel Marti. 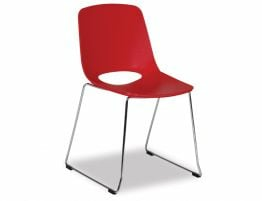 These red dining chairs offer a moulded polymer shell and post legs in your choice of chrome, black or white factory powder coat paint finish. 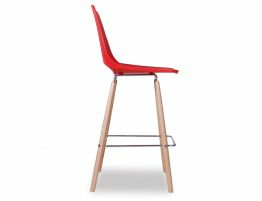 The Wasowsky red modern cafe chair features a smooth, comfortable seat shell with a back cutout and stable steel post legs. 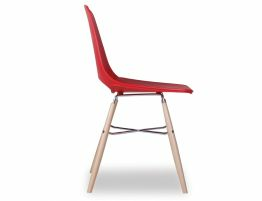 Our red, plastic task chair is made using a techno-polymer red seat with steel legs giving this chair a modern finish that looks good nearly anywhere. We’ve seen this red chair look great around a natural oak dining table. 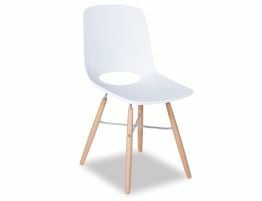 We have a designer who used this chic chair in a café remodel. 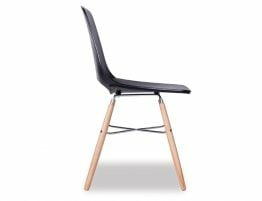 This chair would be great at a desk, workspace or even modern office break room or meeting space. 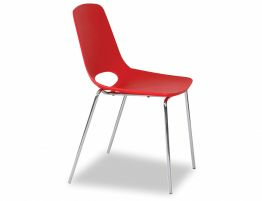 Bring the cheery look of this modern red chair into your space.